Makarska is situated on the bottom of one of the most beautiful Croatian mountains, Biokovo which is a protected nature park. It rises steeply right above the coast up to 1762m. But right before the entrance to the nature park there is another extraordinary natural sight of Makarska riviera – Kotisina botanical garden. It had been created by the Franciscan monks from Makarska and opened in 1984. 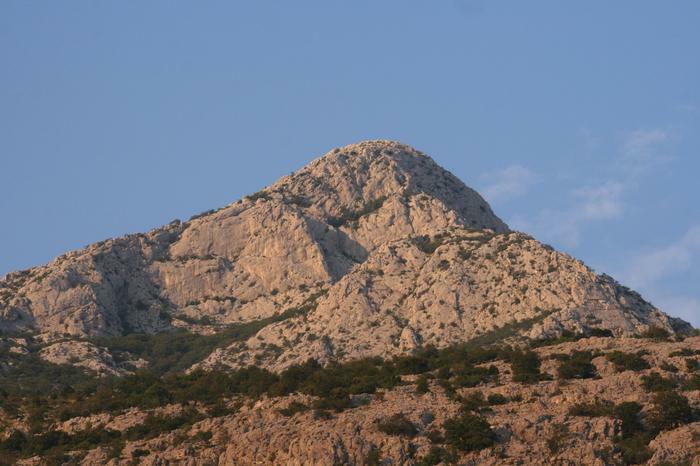 There a plant diversity of Makarska mountain region can be seen. Among 300 plant species, endemic Adriatic iris (Iris adriatica) stands out with its violet flower. There are also some exotic plants that have been planted in some parts of the garden. On a small area of botanical garden, situated only 3km from Makarska, different terrains can be found there. Among them, the most interesting one is Proslap canyon which is full of running water during rainy days, and the rest of the time it is dry. Visitors from Makarska do not need to be in perfect shape to visit Biokovo mountain since Kotisina, as well as the mountain top, can be reached by car or tourist mini bus.